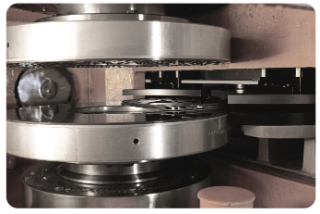 In the double disc grinding process the workpiece is fed through to the two grinding wheels which are, up to the required specification, fixed or movable. The product range of Giustina double disc grinders are developed and made for high production and are efficient solutions for processing flat and parallel surfaces at the lowest per piece cost. Various working modes include rotary, through-feed, reciprocating, continuous and plunge grinding mode, which are selected according to process requirements. 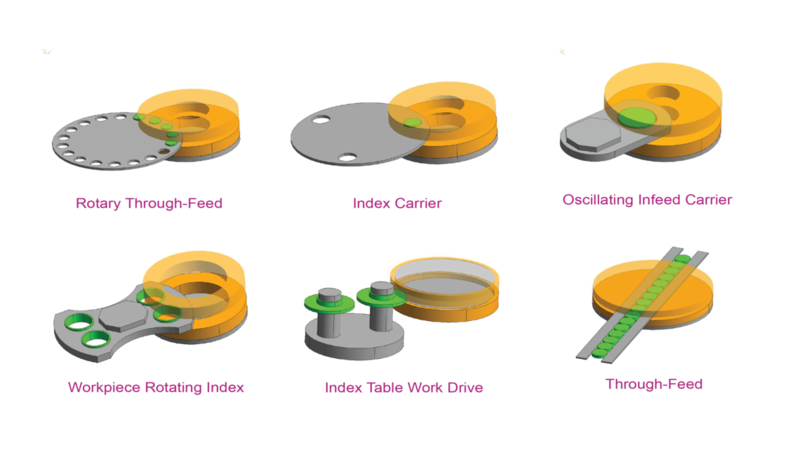 Available in vertical or horizontal axis type. 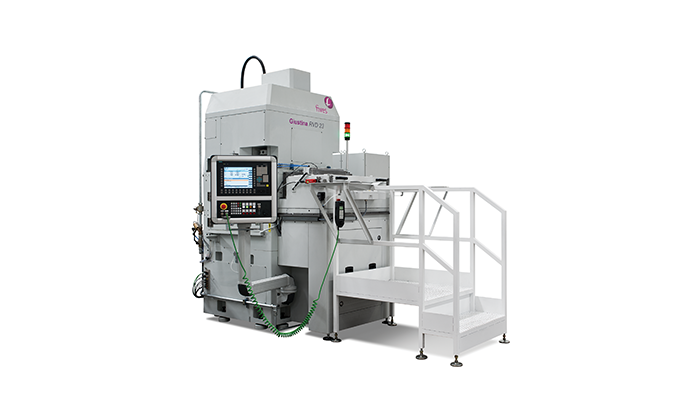 Vertical axis machines are ideal for plunge grinding of gear faces, bearing race faces and small disc brake rotors. Fives grinding machines are available in grinding wheel diameters from 305 to 760 mm with wheel spindle power up to 50 kW.